Christopher Sitzmann has over forty-one years of experience as a business lawyer concentrating in the areas of civil litigation, real estate, employment law, and estate planning. Mr. Sitzmann was a partner with the Minneapolis Law Firm of Barna, Guzy & Steffen, Ltd. from 1978 to 1985. In 1985, he moved to Appleton, Wisconsin and was General Counsel at Appleton Papers, Inc., a multinational paper company. In 1993, Mr. Sitzmann reentered private practice in Appleton, Wisconsin, and opened the doors to Sitzmann Law Firm Ltd.
Mr. Sitzmann graduated from the University of St. Thomas in 1974 with degrees in Economics and Political Science. He attended law school at William Mitchell College of Law in St. Paul, Minnesota and graduated with his Juris Doctor in 1978. 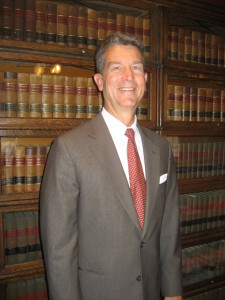 Currently, he is a member of the Wisconsin State Bar Association and the Fox Valley Estate Planning Council. He was President of the Outagamie County Bar Association in 2007-2008 and has been a Rotarian since 1995. In his free time, Mr. Sitzmann enjoys golfing, spending time outdoors, and enjoying time with his wife, 3 daughters and 4 grandchildren. Sara Micheletti focuses her practice on estate planning, guardianship, estate settlement and probate. She also practices in business law, civil litigation, and real estate law. Ms. Micheletti frequently works as a Guardian ad Litem, representing the best interests of individuals declared incompetent by the Court, elderly, disabled, minors and others needing representation. Ms. Micheletti received her Juris Doctor from the University of St. Thomas, School of Law in Minneapolis, Minnesota in 2009. There she participated in the Mentor Externship program, Judicial Externship program in Hennepin County District Court, the Interprofessional Center for Counseling and Legal Services Elder Law Practice Group, and the Intramural Negotiations Competition. 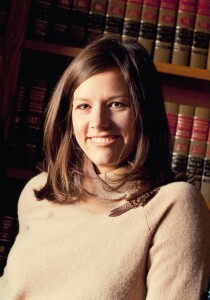 During law school, Sara clerked for an experienced criminal defense Attorney, F. Clayton Tyler. Before law school, Ms. Micheletti attended the University of Wisconsin, Madison earning her Bachelor’s Degree in English and Political Science. While in Madison, Ms. Micheletti was a legal assistant for a business law attorney. She also studied abroad in London, England. Ms. Micheletti grew up in Appleton. She is active in the community having served on many boards and committees. She is the current Board President of the Women’s Fund of the Fox Valley Region and on the Board of Directors at Community First Credit Union. She is a member of the Outagamie County Bar Association, the Wisconsin Bar Association, and the Fox Valley Estate Planning Council. In addition to her community service, she enjoys spending time with her husband and daughters. Andrew Micheletti practices in business law, civil litigation, real estate, employment law, and Estate Planning. Prior to joining Sitzmann Law Firm, Ltd., Mr. Micheletti was a Hennepin County Assistant Public Defender where he diligently represented the rights of his clients. He received his Juris Doctor from the University of St. Thomas, School of Law in Minneapolis, Minnesota in 2008. 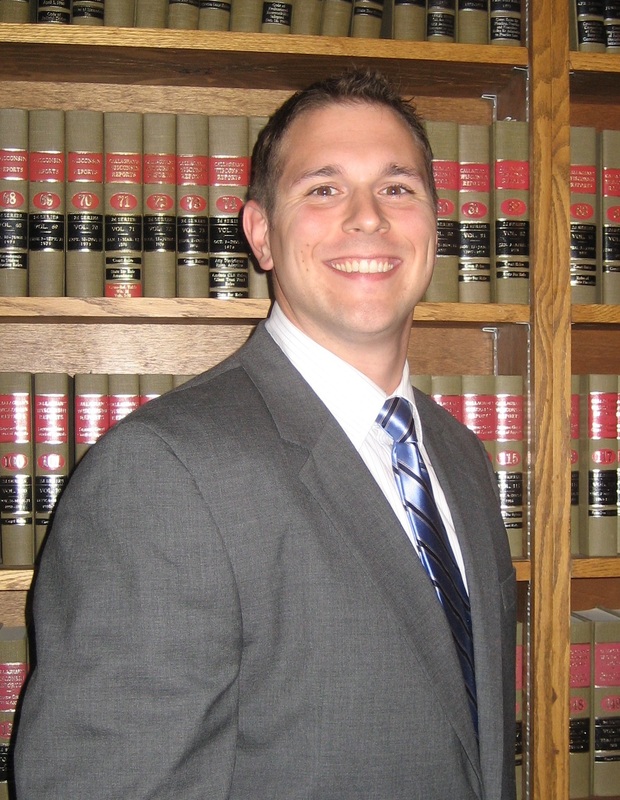 After his first year of law school, he clerked for a criminal defense attorney in Hibbing, Minnesota. During his second year of law school until he graduated, Mr. Micheletti clerked for the Hennepin County Public Defender’s Office. Before going to law school, he attended the University of Minnesota at Duluth and earned a bachelor’s degree in Psychology. Mr. Micheletti spent most of his younger years on the Iron Range in Northern Minnesota. Mr. Micheletti is on the Appleton YMCA Board of Directors, a member of the Downtown Appleton YMCA Service Club, and a member of the Downtown Appleton Rotary Board. In the 43 years since graduating from UW-Law School in 1975 Paul has been an old school general practitioner doing criminal defense and prosecution, family law, guardianship, zoning, municipal, business, probate, bankruptcy, tort, litigation, workmen’s compensation, social security disability and those areas of law which impact the majority of people. 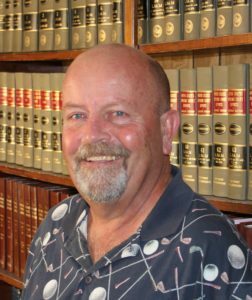 As a semi-retired practitioner, he now opts to narrow his focus to business and probate/estate planning. Paul and Linda Berg raised two daughters and spoil 5 grandchildren ages 9 to 23. They share their home with 2 dogs and friends who drop in regularly to enjoy Linda’s cooking. Having served as a part-time Outagamie County Court Commissioner, the District Attorney in Dunn County, WI and elected municipal attorney, Paul has years of experience with people in all walks of life. He is admitted to practice in Wisconsin Courts, in Eastern and Western District Wisconsin Federal Courts and in the U.S. Tax Court. Passionate about golf and a lifelong student of nature, history and literature, only pop culture kills his dreams of a Jeopardy win. Nearly 40 years as an active member of the Lions Clubs, serving on the Police and Fire Commission and on the 1,000 Islands Committee of the City of Kaukauna and monthly platelet donations to the Community Blood Center are his civic interests.